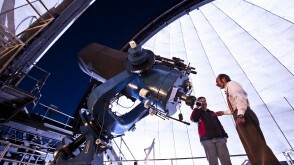 In physics, you explore the universe, from the subatomic particles to massive galaxies. Physicists study the basic laws that govern the universe—and they develop innovations with practical applications, such as technologies in medicine, lasers, and computers. The physics major provides excellent preparation for students interested in graduate school in physics or physics-related fields. It also provides useful background and skills that are helpful for careers in engineering, computer programming, medicine, law, secondary education, and other related fields. 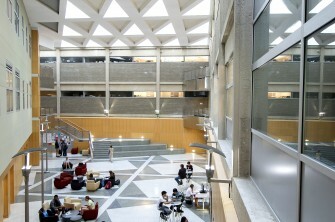 Most students take additional mathematics or computer science courses dealing with topics of their choice, such as advanced calculus, numerical analysis, complex variables, and computer programming languages. 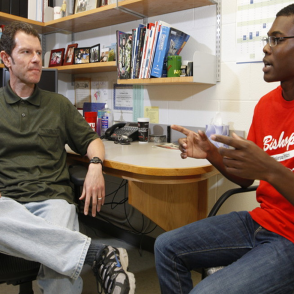 Ohio Wesleyan offers three degree options for physics majors to align with their career goals. The Physics Bachelor of Arts degree provides you with exposure to the depth and breadth of physics while maintaining the academic rigor required for successful entry into a broad variety of graduate programs and career options. The Physics Bachelor of Science degree includes a stronger emphasis on preparing students for more advanced study in physics or direct entry into professional‐level employment where a physics background is preferred. 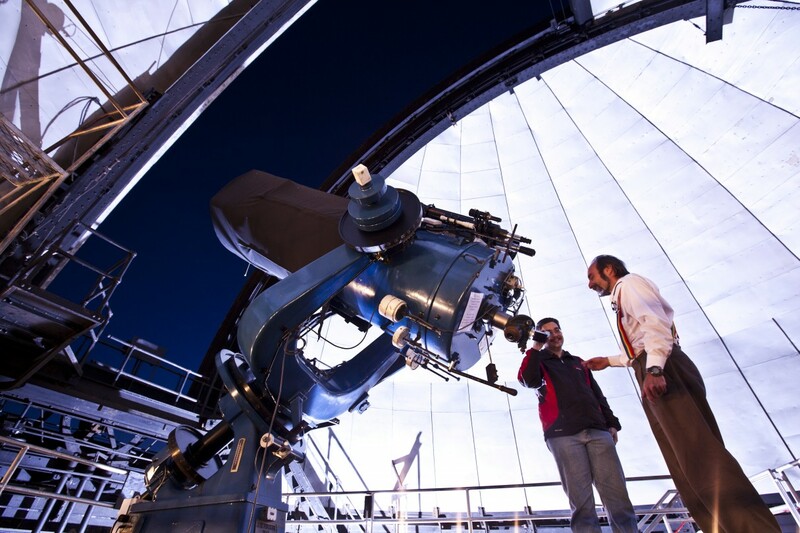 The Physics Bachelor of Arts with Pre-Engineering Option (3-2 Program) is an interdisciplinary program that combines an education in the liberal arts with one in engineering. You graduate with two degrees after spending three years at OWU and two years at an engineering school. 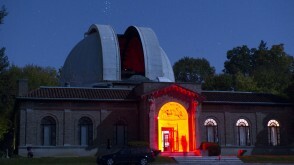 All Physics and Astrophysics majors complete a year-long research project during their senior year. This gives them an opportunity to put what they've learned in their classes into practice and helps to prepare them for jobs or graduate school. 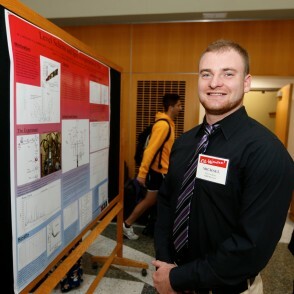 Many Physics majors participate in OWU's Summer Science Research Program, and many present their research at undergraduate research forums on campus and across the country. 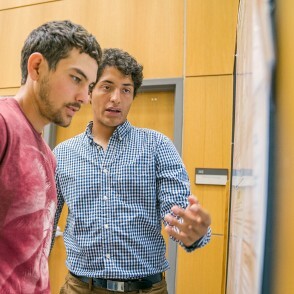 The research conducted by Diego Venegas Vargas '19 explored the mostly unknown world of nuclear physics. 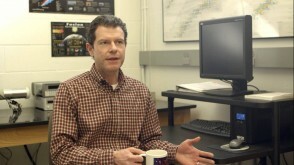 With the help of Professor Robert Haring-Kaye, Diego studied a neutron-rich isotope of gallium. 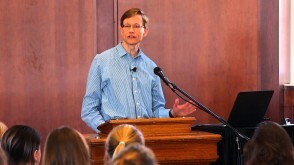 What he discovered of its structure will aid in predicting nuclear behavior. Working with Prof. Barbara Andereck, Khanh Le '16 investigated a problem in quantum physics concerning the behavior of a small particle in one-dimensional space. He investigated three different approximations of the energy eigenvalues of the solutions of the one-dimensional time-independent Schrodinger equation. 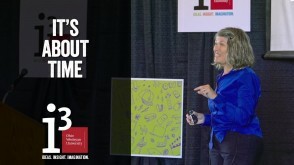 The OWU Connection provides a variety of ways for you to expand your learning off campus and overseas. From your first year on campus, you can take Travel-Learning Courses. You can also pursue OWU Connection Grants to conduct research off campus or spend a semester at another university in the U.S. or abroad. 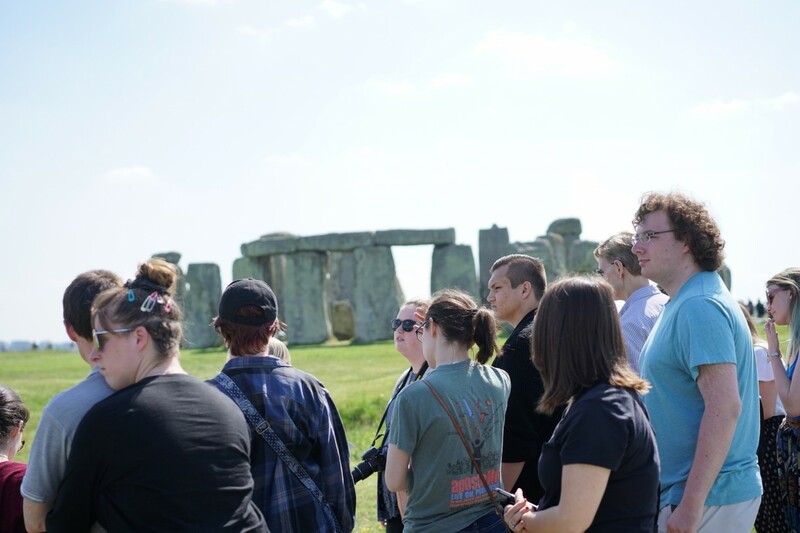 Professor Bob Harmon's Space Exploration class traveled to England and Germany, including a tour of the European Space Agency's Centre for Space Applications and Telecommunications. Build your experience and connections to the professional world with internships and research opportunities at major laboratory facilities. 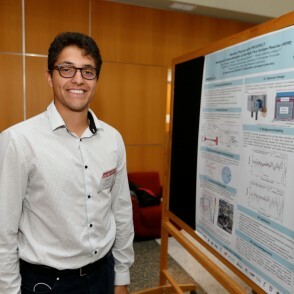 Diego Venegas Vargas '19 spent Summer 2018 studying neutrino physics with Alfredo Galindo-Urribari of the Physics Division of Oak Ridge National Laboratory in Tennessee. Working with Prof. Bob Haring-Kaye (left), Kamali Jones ’16 (right) and Khanh Le ’16 conducted research at the particle accelerator at Florida State University. 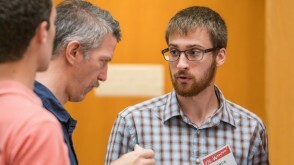 Michael Heeschen '20 participated in the Summer Science Research Program, where he studied fundamental properties of heavier nuclei like gallium. 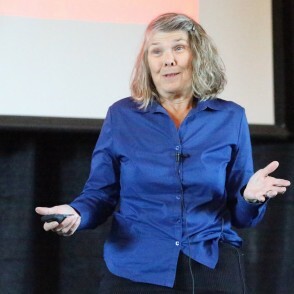 OWU faculty are outstanding scholars and researchers — and passionate teachers. They will push you, challenge you, inspire you, and work with you on your own research and creative projects. Has Anyone Ever Told You that You Are Star Material? OWU’s 150,000-square-foot, state-of-the-art science center features an array of sophisticated equipment for hands-on use by OWU students. A 10-node Beowulf computing cluster and a complete electronics lab are available for student research projects. The OWU Chapter of this student organization has received the national Blake Lilly Prize for positively influencing the attitudes of school children and the general public about physics. 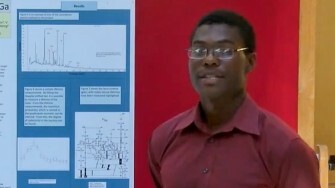 Kamali enrolled in the Physics Ph.D. program at Duke University following graduation. 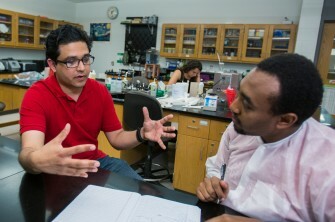 At OWU, he performed nuclear physics research using the particle accelerator at Florida State University, and he received an OWU Connection grant to study the sustainability of nanotechnology in Mumbai. 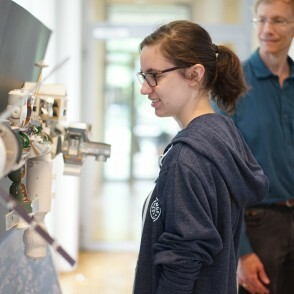 Recent physics graduates are attending graduate programs at Princeton, Washington University in St. Louis, Duke, University of Michigan, Ohio State, and the University of Washington. Recent physics graduates have taken advantage of the 3-2 Engineering Program, pursuing engineering degrees at Caltech, Washington University in St. Louis, Case Western Reserve University, and others. Many physics majors and minors go directly to work in technology industries and other fields. 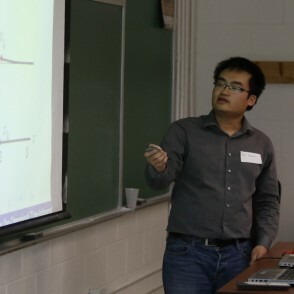 Past OWU physics graduates also are working in engineering, education, and law. Physics major Zeke Brechtel '13 studied Aerospace Engineering at the University of Colorado, Boulder, and then was hired by SpaceX as an Integration and Test Engineer. With a Ph.D. from Johns Hopkins University and her M.D. from Columbia, Claire Ryu returned to OWU in 2015 to present “How Nuclear Physics Research Led Me on a Path to Become a Physician Scientist.” While she was a student at OWU, she was one of three students nationwide to receive the 2007 Outstanding Student Award for Undergraduate Research from the Society of Physics Students. 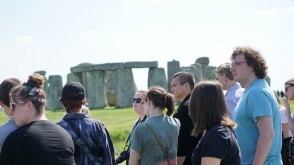 Students in Professor Harmon's Elementary Astronomy Travel-Learning class visited Stonehenge in England. 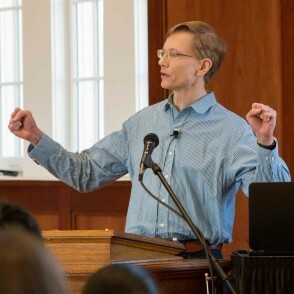 In a micro-lecture, Professor Barbara Andereck asks, "What is time? We talk about time all the time, but do we really know what it is?" Physics professor Robert Haring-Kaye (left) catches up with Taimur Islam ’13 during Islam’s visit to campus to deliver a presentation to students on internet safety and data encryption in the era of quantum computing. Islam is currently a postdoctoral researcher at Ohio State University.